Jess C. Scott said, “The human body is the best work of art.” All fashion artists are aware of this. In the last century, both men and women apparel have undergone some serious improvement and the following designers are responsible of it. Here are 10 legendary fashion designers who shaped the way we dress today. Versace is the chief designer and Vice President of the Versace Group. In the mid-1970s, Donatella was involved in her older brother, Giovanni’s enterprise as a “muse and critic”. And after Giovanni’s death, she held her first couture at the Hôtel Ritz Paris. He grand parties are attended by extravagant people like Catherine Zeta-Jones, Sir Elton John, Kate Moss, Liz Hurley and even Prince Charles. Otherwise known as ‘DK’ created the DKNY clothing labels in 1985. Karan always insists that she’ll design cloths that she can herself wear and came up with her ‘Essentials’ line that became extremely popular. Immediately after this she created the DKNY clothing line. Made for young women ‘Essentials’ cloths are less expensive. Karan has received several awards in recognition of her work like the Coty American Fashion Critics’ Award in 1977 and 1982, special CFDA awards in 1985, 1986 and 1987, Lifetime Achievement Award in 2004. Calvin Richard Klein founded the fashion house Calvin Klein in 1968. Klein studied at the High School of Art and Design and at New York’s Fashion Institute of Technology from where though he did not graduate but received an honorary Doctorate in 2003. Even before his first mainstream success, he became a protégé of Nicolas de Gunzburg and was already acquainted to the New York elite fashion scene. His tight-fitting signature jeans launched in 1974 grossed $200000 in the very first week. In the same year Calvin Klein became the first designer to be awarded at the the CFDA award show for outstanding design in both men’s and women’s wear. Thomas Carlyle Tom Ford, within two years of being stated as the creative director of Gucci, increased the company’s sale by 90%. He launched his own Tom Ford label in 2006. Ford dropped out of college twice before concentrating on acting in television commercials where he was on high demand. At one time his dashing looks and charming manners brought him work from twelve advertising campaigns simultaneously. Cardin is famous for his unisex fashion designs. He introduced the avant-garde style and Space Age designs to the world. Cardin’s designs are often experimental and sometimes not-so practical. From an early age Cardin worked as a clothier’s apprentice where he learned the basics of fashion design. After making women’s clothes for sometimes, Cardin got to work with Elsa Schiaparelli and in 1947 became the head of Christian Dior‘s tailleure atelier. Lauren founded of the multi-million-dollar clothing company Ralph Lauren Corporation in 1967. Lauren has always been ambitious. In an interview he recalled writing in his school year, below his photograph that he wanted to be a millionaire. He briefly studied business, then served the army, after which he did a little sales job when he first got the idea of making European-style necktie. His idea was initially rejected for not being commercially viable but after managing to sell some of them he secured financial backing. 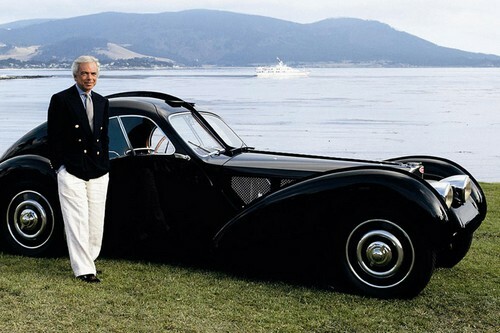 And that was the humble beginning of Ralph Lauren. Dior was founder of one of the world’s top fashion houses. 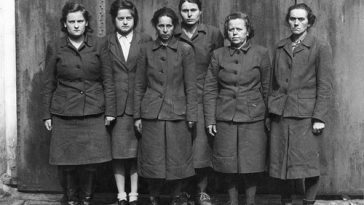 During the World War II, he worked in a fashion house and dresses wives of Nazi soldiers. Backed by a cotton-fabric magnate, he founded the Christian Dior fashion house in 1946. The line of his first collection was called Corolle which was immediately disapproved by women because the dresses covered up their legs. Moreover many opposed the amount of fabrics required for a single dress. But soon the wartime shortages ended, all opposition died down, Dior fashion revolutionized women’s dress, establishing Paris as the centre of the fashion world once again. Born Yves Henri Donat Mathieu-Saint-Laurent is credited for introducing tuxedo among women. Laurent in his designs notably used non-European cultural references and was known for working with non-white models. A trend setting fashion designer, Laurent as a child liked cutting intricate patter and create dolls out of them. When he was a teenager he began designing dresses for his mother and sisters. At 18 he enrolled into the Chambre Syndicale de la Haute Couture where his unique designs immediately gained him recognition. Soon after he meet the giant of the fashion world, Christian Dior and at 21 Laurent was named as the head designer of the House of Dior. His spring collection saved the enterprise from financial ruin and brought international stardom for Laurent. He founded Armani, back in 1975. 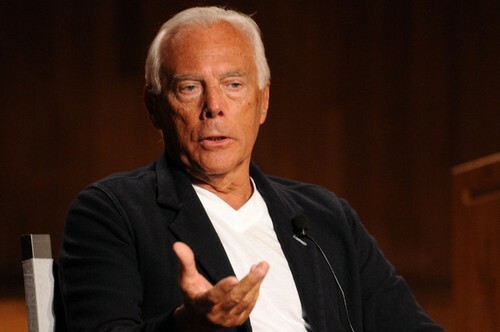 With a personal fortune of $8.5 billion and an annual turnover of $1.6 billion, Armani is regarded as the most successful designer that ever came out of Italy. Famous for his clean tailored lines menswear, Armani’s retail network spreads over 37 different countries. After reading A. J. Cronin’s The Citadel, Armani studied medicine and after a short while decided to look for a different job. In the mid-1960s began designing menswear. After model Ana Carolina Reston died due to starvation, Armani became the first model to ban body mass index (BMI) for models under 18. Deemed as the greatest fashion designer ever, Chanel is credited for liberating women from corseted cloths. In the post-World War I era, she created a casual chic feminine style that revolutionized the way women dressed themselves. Founder of the Chanel brand, her iconic products like ‘The Little Black dress’, ‘Chanel No. 5’ fragrance took the world by storm and is popular to this day. Chanel is the only fashion designer who has been named in the Time magazine’s list of the 100 most influential people of the 20th century. Chanel was an ambitious, energetic, determined woman. Her social connections made through her work gained her many patrons and brought her commercial success and social prominence.